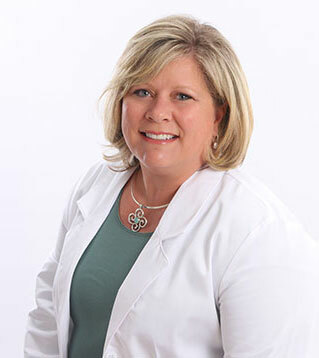 I am so passionate about preventive dentistry and treating my patients as a whole. I want to do everything I can to help my patients keep their teeth and oral health as perfect as possible. Dentistry has allowed me to be many things to my patients. I am their dentist, friend, cheerleader, and counselor. I didn’t know when I chose this career that it would involve so many different roles, but am so happy that it does. I feel truly blessed to be part of this ever-advancing profession and part of my wonderful patients’ lives. Our office is made up of an amazing group of dedicated women. We all work together toward the common goal of providing the highest level of dentistry with the gentlest of care. Each individual on our team was selected not only for their excellent clinical skills but because of their caring nature and desire to work together for the common good of our patients. We are truly a family, and we look forward to welcoming you into it. Because providing the best and most up-to-date care for our patients is my primary goal, continuing education is of the utmost importance to me. Dr. Powell and I are members of the Academy of General Dentistry, which entails more than three times the annual continuing education required for our state licensure. In addition to taking several courses through our many professional memberships, Dr. Powell and I are fortunate in Texas to have three dental schools, all of which provide continuing education on a regular basis. We stay current on the newest developments in dentistry, and review journals to determine which areas are changing and where we need to focus our education. I grew up in a small town on the border in Southwest Texas called Eagle Pass. I loved growing up in a small town where you knew most everyone. I’ve lived in Round Rock with my amazing family for almost 20 years now. My husband received his bachelor’s degree in computer science from the University of Texas, where we first met. He is currently an I.T. director for Forbes Energy. Christopher, my son, is in his first year of college at Texas Christian University—GO FROGS! He is double majoring in biology and criminal justice and hopes to pursue a career with the FBI. Katie attends Cedar Ridge High School. She is a member of the drum line in the Cedar Ridge Raider Marching Band, plays lacrosse for her high school team, and competes on a travel team called the Texas Play Hard Outlaws. Our home wouldn’t be complete without our German Shepherd puppy named Kona, who has been a wonderful addition to our family. We also have a white/calico cat named Daisy that has been part of our family for nine years. During the school year, much of my free time is spent volunteering for my daughter’s marching band booster club. I absolutely love watching the marching show evolve and am amazed by how hard these kids work every day. 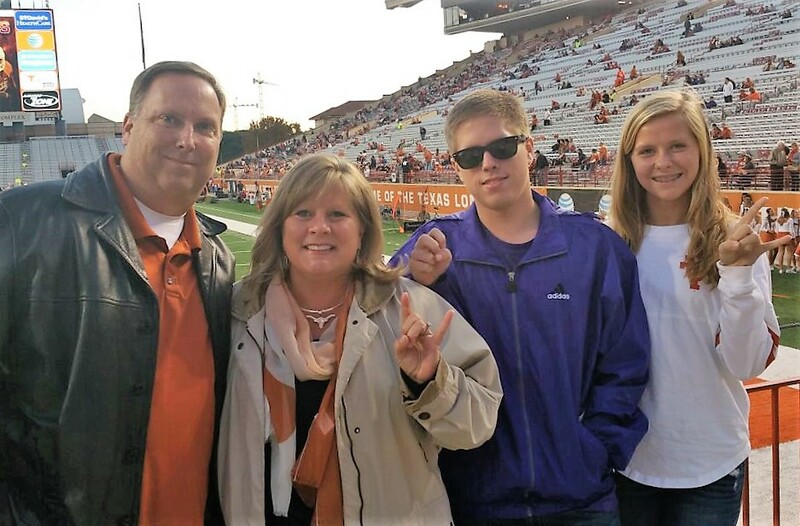 We also try to use it to visit Christopher and catch the occasional TCU football game, especially if they are playing my husband’s and my favorite team, the Longhorns!